To make matters worse for Rohit Sharma and Co, their star pacer Jasprit Bumrah walked off the field in pain with a shoulder injury. 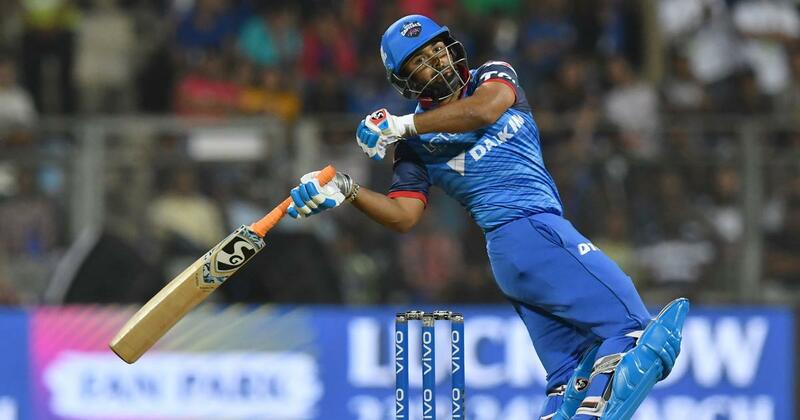 Rishabh Pant’s destructive knock of 78 powered Delhi Capitals to a 37-run win over Mumbai Indians in their Indian Premier League match at the Wankhede Stadium on Sunday. Pant got those runs in only 27 balls and while the relentless onslaught would do his confidence a world of good, Jasprit Bumrah’s shoulder injury two months before the ICC World Cup left the Indian cricket fraternity on tenterhooks. The Delhi dazzler’s seven towering sixes and as many fours at a Wankhede Stadium that was made to look like a tiny ground left the Mumbai Indians bowlers, including the world’s best pacer Jasprit Bumrah, traumatised and gave rechristened Delhi Capitals the fresh beginning they longed for. Such was the 21-year-old Pant’s assault that Delhi raked in 99 runs in the last six overs. Pant smashed of the the world’s finest fast bowlers, Bumrah, for a few sixes as well. Pant, playing his natural game, mercilessly punished the Mumbai bowlers after South African Colin Ingram (47 off 32 balls 7x4, 1x6) and Shikhar Dhawan (43 off 36 balls; 4x4; 1x6) pulled the visitors out of the rubble and laid the foundation of a big total with their 83-run stand for the third wicket. 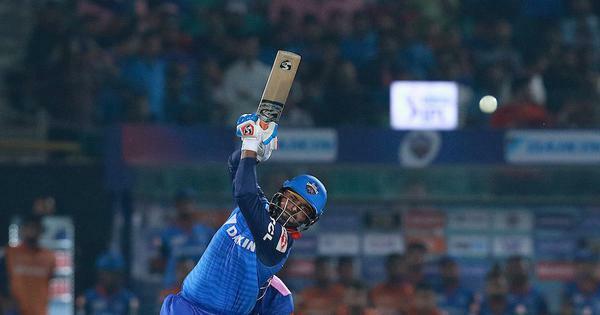 Earlier, the duo of Dhawan and Ingram rallied the Delhi innings after they lost two quick wickets – Prithvi Shaw (7) and skipper Shreyas Iyer (16) – inside the first four overs - and also took the Mumbai attack to cleansers. Ingram upped the ante in the eighth over slashing Hardik for a four and then a six. But Ben Cutting gave Mumbai the much-needed breakthrough as he removed Ingram, who was caught by Hardik in the 13 over. Dhawan also threw his wicket away as Delhi slumped from 112 for two to 131 for four. But then it was the Pant show. Later, barring veteran Yuvraj Singh (53 off 35 balls; 5x4 and 3x6), who made his first appearance for Mumbai, no other batsman stood tall. Quinton De Kock (27) hammered Trent Boult for two fours and a six in the third over and then found momentum in the sixth over as he hit two consecutive fours off Ishant Sharma. But Ishant (2-34) took revenge as De Kock holed to fine leg where Boult took a good catch as Mumbai slumped to 45-3. But then West Indian Kieron Pollard (21) and Yuvraj tried to resurrect the innings with their 50-run stand. Pollard hammered Rahul Tewatia for a six and a four, while Yuvraj stuck two fours and a six in the 1oth over off Axar Patel as Mumbai amassed 20 runs. As the two were looking good, Keemo Paul removed Pollard. Hardik Pandya (o) followed suit as Mumbai lost half the side on 95. After Krunal Pandya (32 off 15 balls) departed, Mumbai’s hopes were solely pinned on Yuvraj and he could not take the side home.